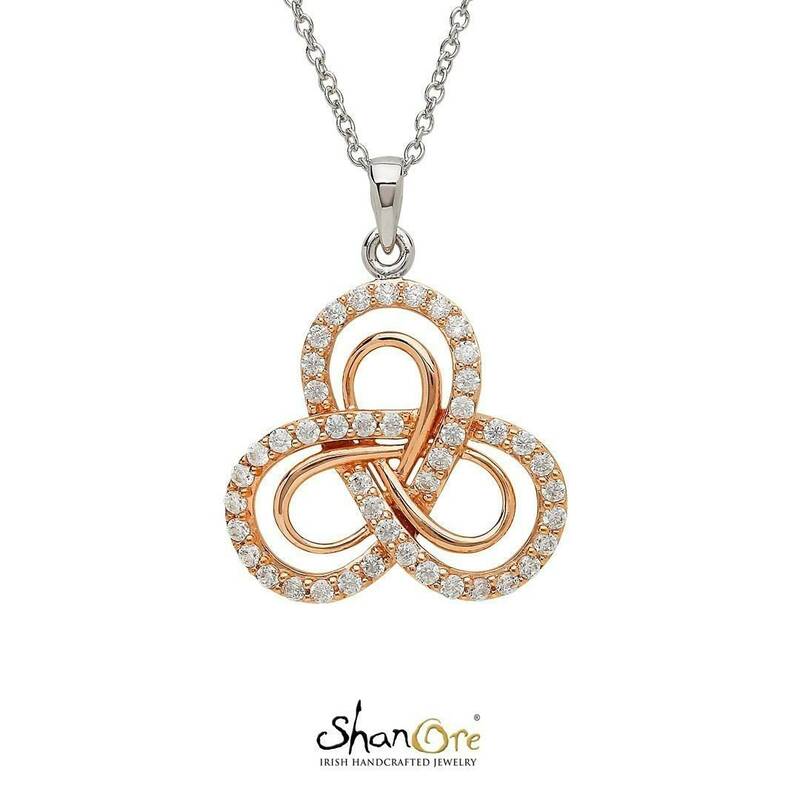 This stunning Celtic trinity knot is ablaze with the shine of rose gold plate and dozens of Swarovski crystals. 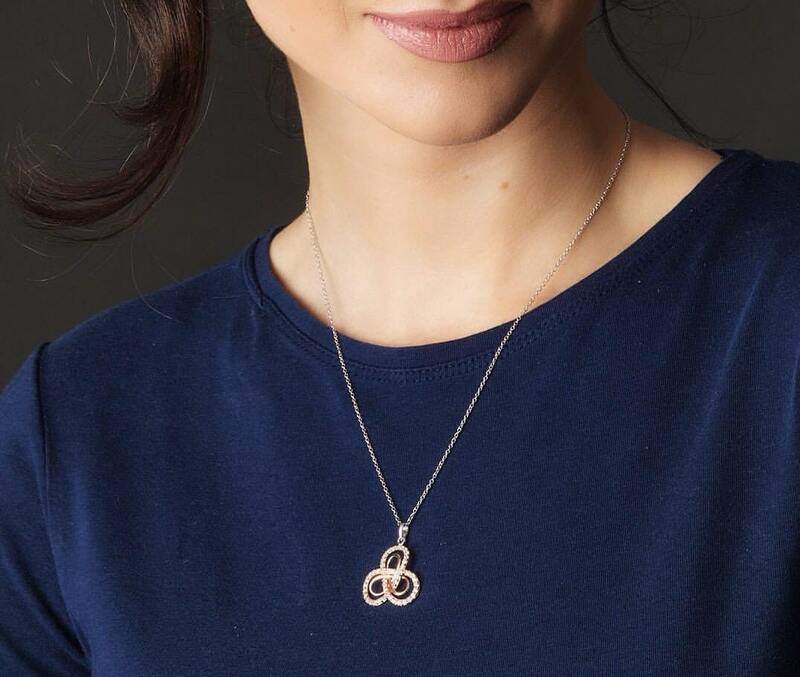 The endless loops of the Celtic knot represent the never-ending nature of love. A beautiful piece that will really make her catch her breath.